(Lengnau, Switzerland, September 2012) – As the festive season approaches, most of us look forward to a little glitz and glamour, a perfect accessory for the perfect party outfit. 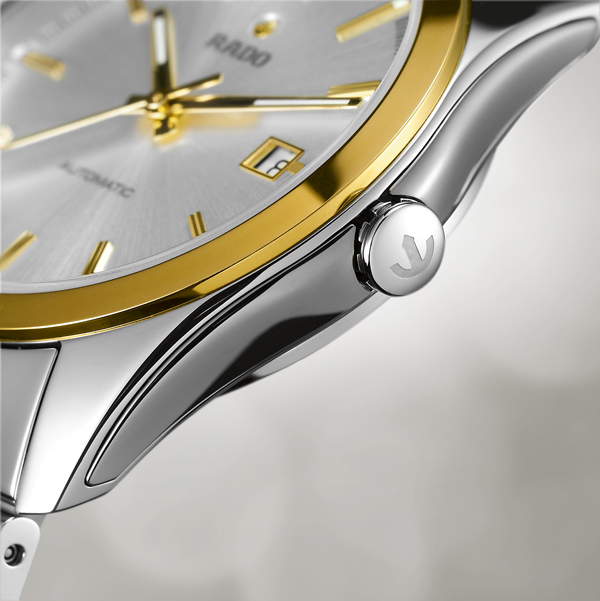 Rado knows that whilst your look is important, comfort is also key. It is this understanding that has led Rado to add two new models to its HyperChrome collection, which was first presented at Baselworld 2012. The two new editions have rose gold coloured and yellow gold coloured elements which are made of innovative Ceramos™ and also share many of the same impressive design features as the rest of the HyperChrome collection. Ceramos™ is lightweight, ultra hard, scratch-resistant and even adapts to the wearer’s skin temperature. Ceramos™ is a combination of titanium carbide and a metallic alloy. The material undergoes a high-pressure (1,000 bar) injection moulding process before being fired or ‘sintered’ at 1,500° Celsius. 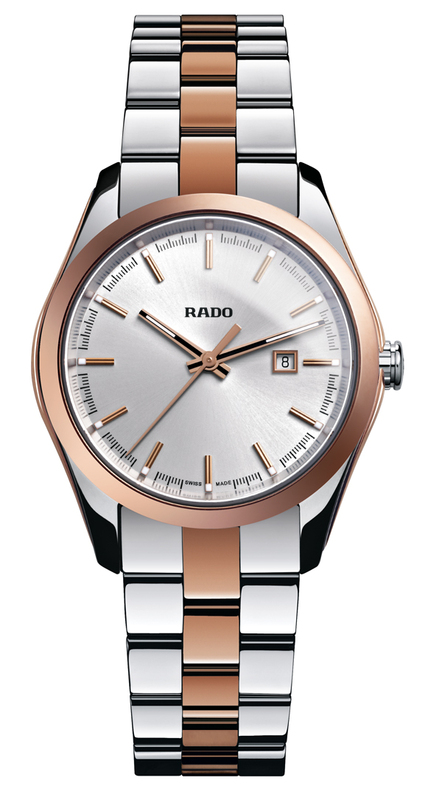 Rado introduced platinum-coloured Ceramos™ in 2010, and the new colours have been made possible by fine tuning the composition of high-tech ceramic and its metallic binder. Whilst gold watches are susceptible to scratches, Ceramos™ retains its ultra hard character and high degree of scratch resistance for years. 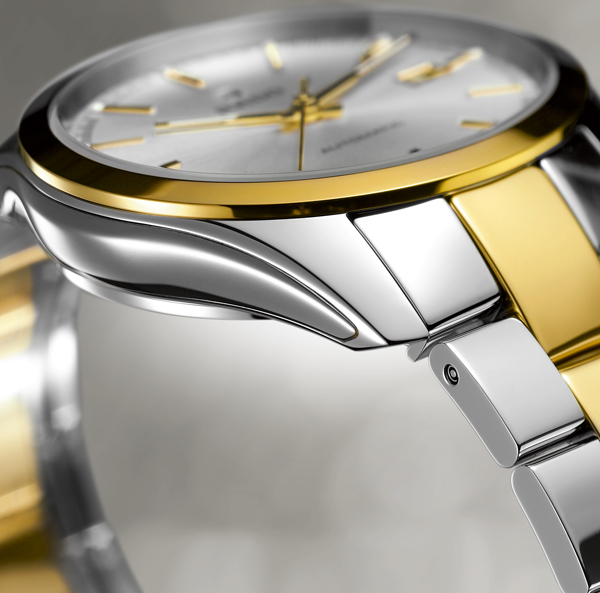 When you buy Rado, you get more than just the name of the brand. 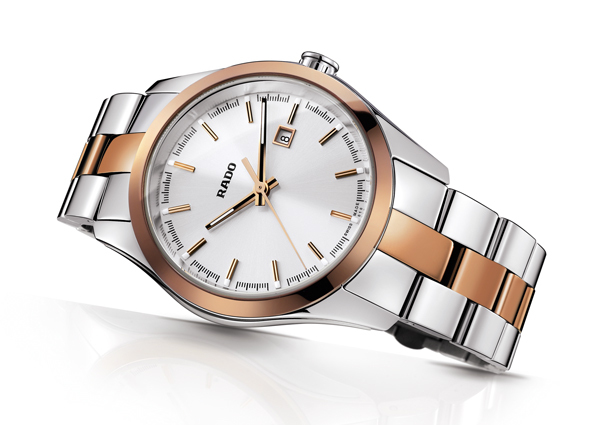 Rado is recognised globally for innovative design as well as its use of revolutionary materials to create some of the world’s most durable watches. Whether you’re looking for the perfect accessory, or the perfect gift for a loved-one, all that glitters this festive season is Rado. 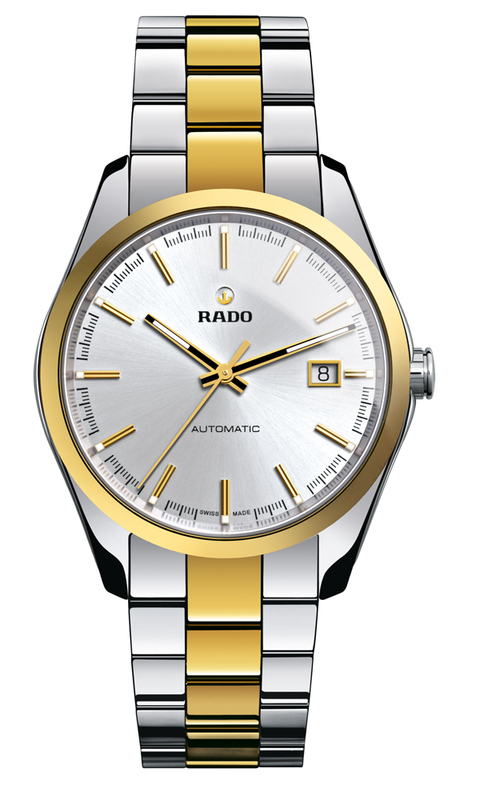 The Rado HyperChrome models with rose and yellow gold coloured Ceramos™ elements are available in S-size (quartz models) and L-size (automatic models).